Do you like sitting on the edge of your seat? Then you have to love the spring season. When a No. 13 seed with a losing record — New Bedford — plays its way into the Division 1 South sectional baseball final, you know it’s spring. Take a group of seniors who have already graduated, stick them on a field, and anything can happen. That’s what makes the spring so unpredictable. This season was the swan song for some of the state’s great student-athletes, such as Michael Panepinto, Maggio Layo, Brittany Smith, and Andrew Bolze. For all those reasons and more, the spring produced sweet memories. In no particular order, here are 10 stories that stood out. 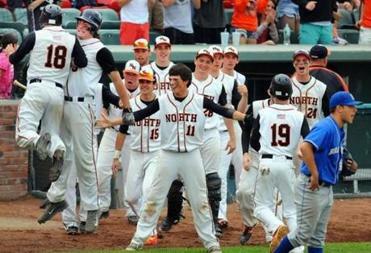 The inaugural Super 8 baseball tournament was a success, especially for Newton North. The Tigers went through the tournament undefeated but not without suspense. They were behind in their first two games, including a win over Catholic Memorial that took two days, and in the title game against Braintree as well. “We go down, things aren’t going our way, but they make adjustments,” said coach Joe Siciliano. “Then bingo! They get some key hits. These kids just get timely hits.” One came from Bay State Carey MVP Alex Joyce, who had a key bases-loaded single in the title game. It was a hit. Just like the tournament. We love to celebrate milestones and in coaching that usually means 100, 200, 300 career wins. 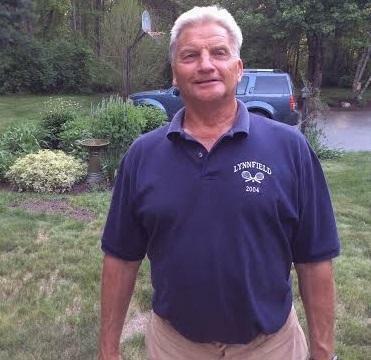 For Lynnfield’s Craig Stone it was No. 1,000 and it happened in a girls’ tennis match against Manchester Essex. The Pioneers 4-1 tournament win was the 1,000th of his career, which includes 39 years as wrestling coach and 35 as tennis coach. “It’s nothing I ever thought would be in the picture, but it’s pretty cool to be here today,” said Stone that day. And believe it or not, it gets better. Stone and Lynnfield went on to win three more games, giving him a total of 1,003. The last win . . . it was the Division 3 state championship. Maybe you didn’t notice her in the fine print of scoreboard page results. But at the MIAA state track championships, Acton-Boxboro’s Katarina Gerhard was a double winner. A junior, Gerhard was competing in the first ever wheelchair events on the sport’s greatest day. Gerhard has been in a wheelchair since her sophomore year but that hasn’t slowed her a bit. She’s a member of the A-B marching band and since sophomore year has competed in dual meets using a racing chair that the A-B community along with other DCL schools helped purchase. And in Bridgewater she used it to clock a 19.87 in the 100 and throw the shot put 15 feet. It’s worth repeating: she’s a winner. For the past year transparency has been the MIAA theme. One thing is clear after the events of June 7-8 — the Franklin organization in charge of 376 schools needed a mulligan. First, with the SAT scheduled for Saturday morning, Chelmsford and Methuen protested having to play their semifinal baseball game at 10 a.m. In Beverly, two senior boys were suspended from the lacrosse team after smoking cigars at graduation. And if that isn’t enough, the MIAA only had half the number of medals needed for the All-State track meet and the boys had to wait for their awards. The subsequent finger pointing wasn’t necessary. But neither was the weekend of controversy. Being the 10th seed in the North made sense. There were at least nine teams in the tournament you’d pick to win before you'd pick the Patriots. Revere? No way. But then it started. First, Revere beat Lincoln-Sudbury in the preliminary round, then Chelmsford, followed by Concord-Carlisle and in the final, Newton North. 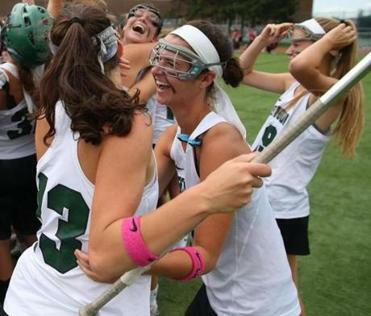 The best of the Dual County, Bay State, and Merrimack Valley couldn’t stop Revere. Why? 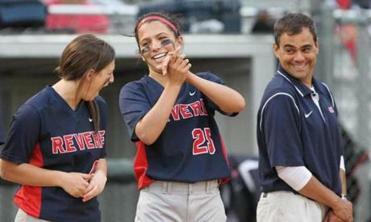 Maybe it was because of the toughest pitcher in the state, Sabrina Palermo. The junior beat Concord-Carlisle with a strep throat and threw in a visit to the doctor after the win. Two days later she was back in the circle, beating Central Catholic, 1-0. Revere? Yes way. It was still early in June but it’s safe to say there will be no better day in Bellingham than June 14. 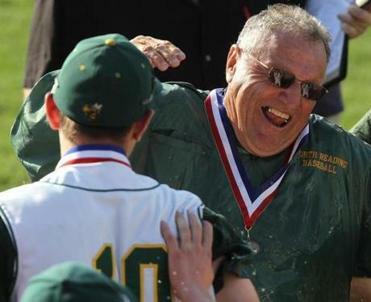 That day in Worcester, the Bellingham baseball and softball teams won state titles. The girls, led by Megan Cook and assisted by Meghan Cook (just to test a journalist’s accuracy) beat two-time defending state champion Grafton to win the Division 2 title. A few miles away at Holy Cross, the Bellingham boys beat Monument Mountain for the Division 3 baseball title. “I am very emotional, this is a great day for Bellingham,” said softball coach and athletic director Dennis Baker. The baseball team was once again led by TVL MVP David Sampson, who had five innings of stellar relief in the title game, giving up just one run.